NEW DELHI (AP) – The young American, John Allen Chau of Washington state, paddling his kayak toward the remote Indian island whose people who have long resisted the outside world, believed God was helping him dodge the authorities. 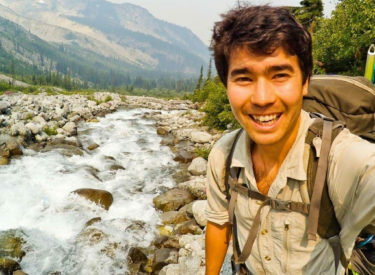 John Allen Chau, a graduate of Oral Roberts University, was a missionary intent on bringing Christianity to the hunter-gatherer society of North Sentinel. He wrote in notes left with fishermen that “God sheltered me and camouflaged me against the coast guard and the navy.” Days later, Chau was killed on North Sentinel Island, which is monitored by Indian ships to ensure outsiders don’t intrude. Police say Chau knew the Sentinelese resisted all contact by outsiders, firing arrows and spears at passing helicopters as well as killing fishermen who drift onto their shoreline. His notes were reported Thursday in Indian newspapers and confirmed by police. Police are trying to figure how to recover Chau’s body, since even Indian officials have no contact with the islanders. Indian law states that the island’s unique culture should not be disturbed, but it also states that murders must be punished, which makes the situation delicate going forward.